Virginia Gov. 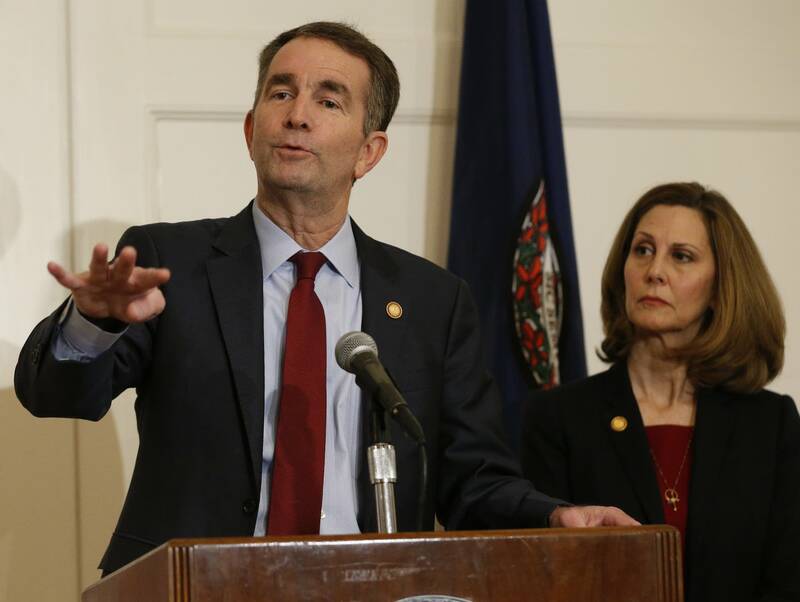 Ralph Northam told top staff Friday that he is not going to resign over a racist photo as another sexual assault accusation was leveled at his lieutenant governor, who would succeed him if he stepped down. Also Friday, a second woman came forward to accuse Lt. Gov. Justin Fairfax of sexual assault. The woman said in a statement that the attack took place when she and Fairfax were students at Duke University. The Associated Press is not reporting details of the allegation because it has not corroborated it. "I deny this latest unsubstantiated allegation. It is demonstrably false. I have never forced myself on anyone ever," Fairfax said in a statement after the accusation was made public Friday. The new developments come at the end of an unprecedented week in Virginia history that has seen the state's three top Democrats embroiled in potentially career-ending scandals. And Attorney General Mark Herring -- in line to become governor if Northam and Fairfax resign -- admitted putting on blackface in the 1980s, when he was a college student. Herring had previously called on Northam to resign and came forward after rumors about the existence of a blackface photo of him began circulating at the Capitol. And in statements Thursday night, the state legislature's Black Caucus and Virginia's Democratic congressional delegation reiterated calls for the governor to step down, while the state House Democrats -- who also previously called for Northam's resignation -- said they remain disappointed in him.